Like all good leadership, good consulting starts by being a great listener. All assignments start with a discovery phase where we learn about our client’s business, the people involved and the nature of the problem that we will address. This process may be intuitive and discussion oriented. The discovery may lead to more discovery and adjusted plans. This discovery process is most effective when a systematic approach is intentionally used. The credibility of a tested and tried approach assures the client of professionalism and comfort of past results achieved. As a consultant, we have a methodology to approach each unique challenge. We balance our questions with diverse probing. With my partners we use the Tekara Integrated Model to build our understanding of the root cause of the problems. We then design our processes with an evidence based approach. This process lends itself to qualitative methods. It involves client meetings, interviews and focus groups. Our interview protocols are unique to each consultant. They are influenced by the integrated model. The result of the listening has produced effective processes and happy clients. The limitation is the shared knowledge across consultant practices and the ability to explore continuous improvements to improve our collective practice. Qualitative processes are effective when all the stakeholders for the engagement can be involved. They also provide good indicator information to understand the root cause of the problems being addressed. The limitation is the ability to scale the process across an organization or across a diverse group of stakeholders. Quantitative processes are more scalable. The most scalable involvement tactic in an organizational context is a survey. Surveys provide a predominance of opinion and can be used as bench mark measures to compare pre and post assignment successes. Social media tools are now offering new opportunities; however, social media data does not have tested and validated methodologies. This does not enable generalizing results back to the larger population. As a result, the counts and comments must still be viewed as qualitative data. With good context, still valuable but limited in terms of interpretation. As a team, the survey can speak to what we value and enable a consistent set of organizational diagnostic tools. Over time we can refine our processes and compare our results. The cost is clear. 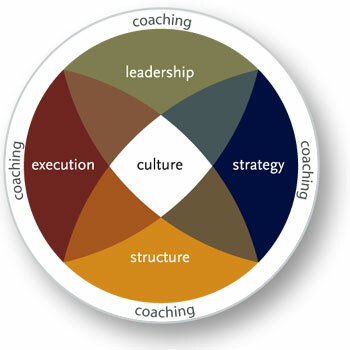 To become more consistent with our approach, while maintaining unique solutions, we have to become more similar and then allow the situation to create the leadership intervention. For this process to be useful, it must create new opportunities and improve client results.